Commonly called blazing star or gayfeather, this perennial produces tall spikes of bright purple flowers that resemble bottlebrushes above the green strap-like foliage. This perennial is in the Asteraceae family and there are 32 species that occur throughout much of North America from southern Canada to northern Mexico. The individual flowers open from the top to the bottom, unlike most plants that open from the bottom upward as the spike develops. Flowers of this perennial act like insect magnets - attracting both bees and butterflies. Flower spikes can also be enjoyed as a cut flower, or harvest and dried for extended enjoyment. The plant is upright and needs no staking. 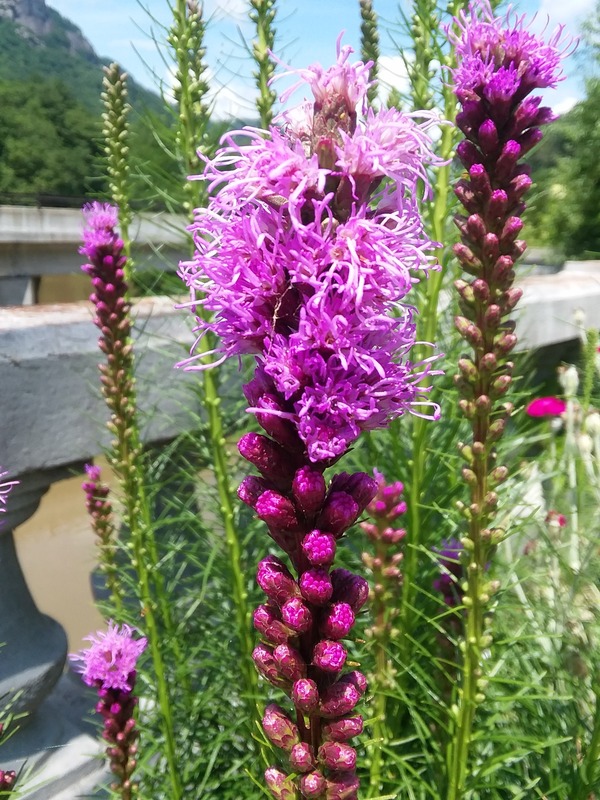 Liatris is a wonderful addition to perennial garden with its vertical lines, and is right at home in a native plant garden or naturalized area. Liatris can be grown from seed. You can start the seeds indoors, or sow directly in the garden. Seeds typically germinate in 20 to 45 days. Germination is usually improved after a pre-treatment of several weeks of cold moist stratification or when planted outside in the fall or winter for that process to occur naturally. It usually takes two seasons for a gardener to see and enjoy the blooms. Established plants can also be divided.